US Naval Aviation Training Division recognition poster. Printed by U.S. Government Printing Office, 1944. Approximately 47 x 62.5cm printed on thick paper. 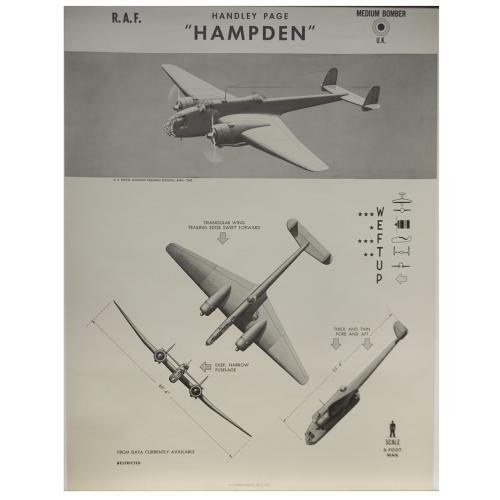 Original 'Restricted' poster of the Handley Page Hampden medium bomber. Illustrations show the aircraft in the air, from the front, side and above. In excellent unfolded condition bar light blemishes to the edges. Stock code P14257.